Greetings, newbie investors! Welcome to my OMG coin & OMG coin price prediction guide. You’re thinking about buying some OMG coin and you want to know whether it’s a good investment, am I right? Of course I am! Well, you’re in the right place because I’m going to tell you everything you need to know about investing in OMG coin. In this guide, I’ll tell you what OMG is, how much it’s worth and what could affect its value. I’ll look at what’s coming up for OMG in 2019 and in the years to come. When you’ve finished reading, you’ll have all the information you need to make your own OMG coin price prediction. 3 OmiseGo Investment Lesson #1: Don’t follow other people’s opinions, make your own decisions! 4 OmiseGo Investment Lesson #2: Listen to what Vitalik has to say! 5 OmiseGo Investment Lesson #3: Do your homework! 6 OmiseGo Investment Lesson #5: Know your product! 6.1 Is OmiseGo a Good Investment? 7 OmiseGo Investment Lesson #6: Smile! You’re part of the crypto family! OMG coin is a white-label eWallet. It was built on the Ethereum blockchain by a Thai financial services company called Omise. 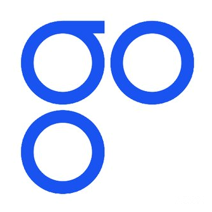 Its full name is OmiseGo. Note: A white-label product is one that can be used by lots of different brands. Think of it like a plain white T-shirt that can have the names of different companies printed on it. An eWallet is a piece of software that holds the information required to access digital money. OmiseGo will allow users to transfer coins from one blockchain to another without using a traditional exchange. It also allows funds to be transferred between blockchains and traditional payment providers like VISA and SWIFT. The OmiseGo platform is designed to be used by businesses in the real world, quickly and easily. It’s the first implementation of Plasma, which is an Ethereum-based solution to the problem of scalability. Note: Scalability is how easily a platform can adapt to process huge amounts of user traffic. There’s something you need to know about me. I’m not a qualified financial advisor! What you are about to read is not financial advice. It’s a guide to understanding how crypto experts make predictions about the prices of coins like OmiseGo. You should always consult a qualified financial advisor before making investments! Even the experts aren’t right all the time. It’s almost impossible to guess what the price of OMG coin will be in three years from now. Anyone who claims to be able to know for certain the future price of a cryptocurrency is a liar! And you can tell them I said that! OmiseGo Investment Lesson #1: Don’t follow other people’s opinions, make your own decisions! It’s always best to make your own price predictions. To do that, you’re going to need some more information. Let’s start with the information you’ll need to make a short-term prediction about the price of OmiseGo coin. So, what is OmiseGo worth now and how did it get there? OMG coin became available to buy through the OmiseGo ICO. An ICO is an initial coin offering. It’s a way for new cryptocurrencies to raise the funds they need to develop their product. The OmiseGo ICO was handled by Bitcoin Suisse in 2017 and raised 25 million US Dollars (USD). Since the OmiseGo ICO, the price of OMG coin has gone up steadily. OMG coin’s opening price was around 0.5 USD in mid-July 2017. By the middle of September 2017, its price had gone up to around 12 USD. In December 2017, prices of cryptocurrencies went up across the whole market. OMG’s did too! 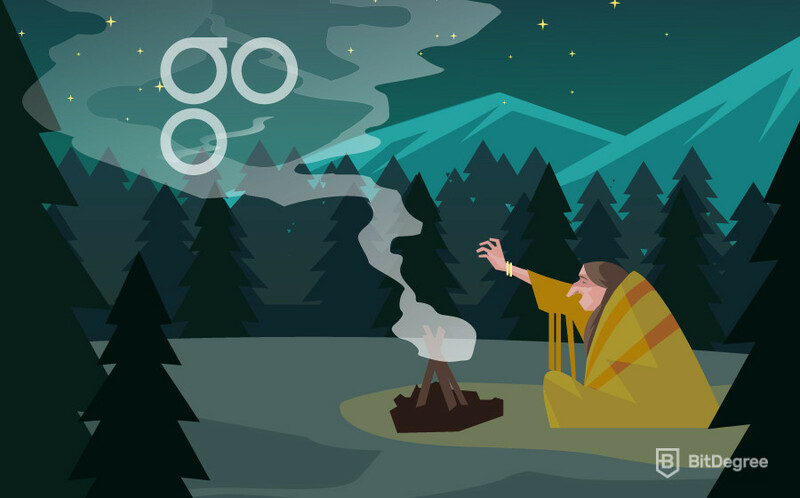 By December 19, the price of OMG had gone up to 21.51 USD. The price of OmiseGo increased again when the founder of Ethereum and all-around crypto rockstar, Vitalik Buterin, tweeted that it was one of his favorite cryptocurrencies. It reached a new high of 26.14 USD on January 8, 2018. OmiseGo Investment Lesson #2: Listen to what Vitalik has to say! Since then, cryptocurrencies have become a bear market. This means that prices, in general, have been going down in the first half of 2018. However, it appears that the bear market may end soon. Most experts are confident that crypto prices will start going up again. When that happens, it is called a bull market (in case you were wondering)! 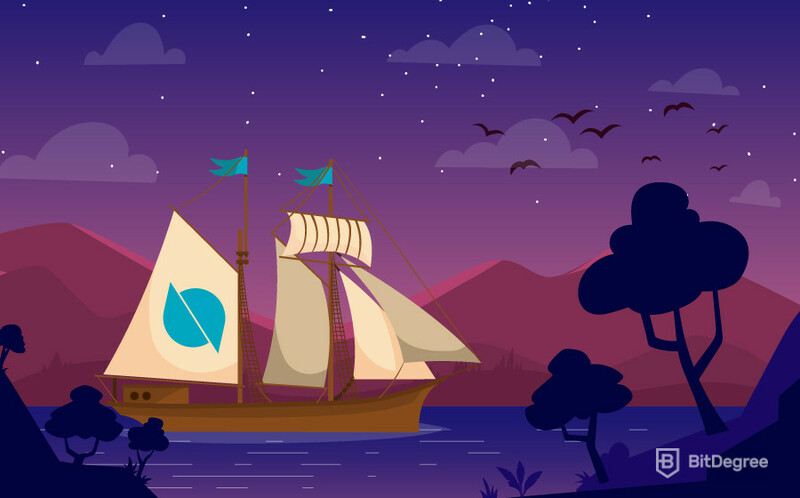 What is OmiseGo going to be worth in 2019? The first place most experts go when they want to make a coin price prediction is the coin’s homepage. So, let’s head over to the OMG cryptocurrency homepage and take a look. The OmiseGo website contains a lot of information about what the platform will be doing in the future but not a lot about what it is doing now. For example, the homepage states that you can build financial apps using the platform, but it doesn’t list any companies that are doing this. What the OmiseGo homepage does show is that the platform has a lot of potential. There’s a long list of OmiseGo’s investors and partners, like Ascend Capital and Golden Gate Ventures. This shows that real-world financial organizations have confidence in the platform. It’s also clear from OmiseGo.network that OMG coin is getting a lot of positive attention from the mainstream media. The site contains links to articles from Bloomberg and International Business Times. OmiseGo’s homepage isn’t very detailed so I recommend visiting CoinMarketCap for a better idea of what the price of OmiseGo will be for the rest of the year. Historical data: CMC charts the price of OMG coin over time. Its data shows that its price has been stable since the Omise ICO. It seems unlikely that the price of OMG coin will go up or down suddenly. However, the coin is very new, so anything is possible! Market availability: CMC lists all the exchanges that offer trading for OMG crypto. OMG coin is offered for trading on more than 25 different exchanges. This shows that there is a large group of investors wanting to buy OmiseGo coin and that trading platforms have confidence in it. Scarcity: The total supply limit of OMG coin is 140,245,398 The total amount of OmiseGo on the market now is 102,042,552 OMG. This means that more than two thirds of the supply are on the market now. When the total supply is on the market, the OMG coin will become scarce. This means that it will be harder to buy and the price might go up. Market cap: The total value of all OMG coin on the market is 1,187,091,617 This is its market cap and means that OMG cryptocurrency is the 21st biggest in the world. So, what does all this tell us about the 2019 price of OMG coin? ThinkingCrypto predicted that OMG coin would be worth 150-200 USD in 2019. This valuation seems very high and shows what a big impact the bear market has had on crypto prices in general over the last few months. Bitassist predicted that the OMG cryptocurrency market cap could be around 10 billion USD by the end of 2019. This would put the price of each OMG coin at around 100 USD each. This is another high valuation but shows the level of confidence and excitement there is about this platform. OmiseGo has a lot of potential. However, no one really knows if it will reach its potential by the end of 2019. Keep up to date with changes on CMC and OmiseGo’s homepage and you will know more than most people about where the price is going. OmiseGo Investment Lesson #3: Do your homework! Next, I want to talk about what could affect the price of OmiseGo coin in the years to come. What is OmiseGo going to be worth in the future? One way to make a long-term OMG price prediction is to look at its competitors. These are the platforms that offer similar services to OMG. If the following platforms succeed, the price of OMG may be affected. There’s no telling, though — in some ways, investors may see the success of a competitor as a good thing, because it confirms the potential of the shared use case. REQ: REQ or Request Network is decentralized payment system with a market cap of less than 100 million USD. It’s too small to worry the OMG crypto at the moment but it might do in a few years. Ripple: This platform is becoming a giant in the world of crypto. Like OmiseGo, it offers payment services for financial institutions. However, Ripple is a closed network and has been criticised for being too centralized. The two platforms operate in the same area but work in different ways. Ox: Ox allows users to create their own decentralized exchanges on the Ethereum blockchain. Trading is only available for ERC-20 tokens. This means that it will have a smaller market than a platform like OmiseGo. Stellar: OmiseGo’s main competitor is probably Stellar. Both platforms offer open-source payment services on a large scale. Stellar has a market cap of more than 5 billion USD and is the seventh biggest cryptocurrency in the world. OmiseGo coin will have to compete with all of these platforms over the next few years. It’s a very tough market and OmiseGo will need all the users it can get if its price is going to keep rising. OmiseGo Investment Lesson #4: Research the market! McDonald’s Thailand: OmiseGo is providing payment services to McDonald’s Thailand on a trial basis. The global restaurant chain has 240 branches in Thailand. This could lead to OmiseGo providing services to thousands of other McDonald’s locations around the world. Working with a company of this size could have a huge positive effect on the price of OmiseGo coin over the next couple of years. Thai/Japanese banks and governments: Both governments hope to make their countries cashless in the near future. OmiseGo has been in talks with the Thai Finance Ministry as well as the Central Bank of Thailand. OmiseGo has also received large investments from two of Japan’s largest banks, the Bank of Ahudya and SMBC. If these partnerships reach their potential then OmiseGo won’t just be an important cryptocurrency, it will be an important global institution. Next, I’d like to talk about the technical developments OmiseGo is working on and how they will affect its price. 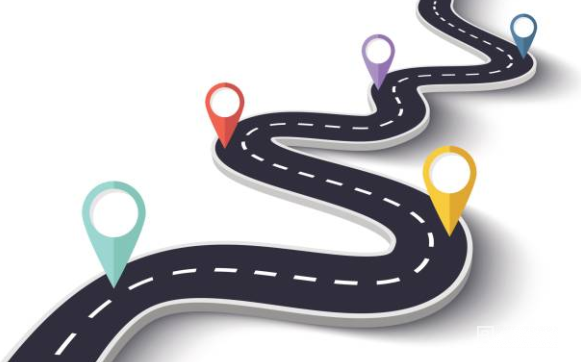 To do this, we’ll need to look at OmiseGo’s roadmap. Plasma: All blockchains face the same problem — scalability. OmiseGo hopes that by using Plasma they will be able to process millions of user transactions at very high speeds. Note: Plasma is a forthcoming update for Ethereum that introduces a second layer to the Ethereum blockchain. It is hoped that applications using it will be able to compete with the transaction speeds of service providers like VISA and SWIFT. According to the OmiseGo roadmap, OMG will be using Plasma within the next three months. This will be a huge achievement for the platform and could make its price go up a lot! Proof-of-Stake: PoS is a fast and efficient way to process transactions on a blockchain. Users who own OMG coin (stakers) will receive payments for the support they give to the network. OmiseGo hopes to be a fully PoS cryptocurrency by the beginning of 2019. DEX: OmiseGo is developing its own fully decentralized exchange using Plasma technology. The OmiseGo roadmap states that this project should be live next year. As you can see, the team at OmiseGo have been busy! Investors should study the OmiseGo roadmap carefully. These changes could make the OMG coin much more valuable. OmiseGo Investment Lesson #5: Know your product! Is OmiseGo a Good Investment? What is OmiseGo going to be worth in the coming months and years? If it’s going to be worth more than it is now, then it’s a good investment! CoinLiker predicts that, within one year, the price of OMG coin will be around 29 USD.Five years from now the site think one OMG coin will be worth nearly 92 USD. TradingBeasts thinks that each OMG coin will be worth around 4 USD by December 2019. They also predict that each OMG coin will be worth about 51 USD by June 2021. WalletInvestor estimates that OmiseGo’s price will double by next year and each coin will be worth around 60 USD by 2023. There is a lot of confidence in the technology OMG coin is using and the team that’s developing it. It’s making important connections with real-world businesses and is developing some cool new tech as well. Cryptocurrency prices are expected to go up across the market in the next six months. I don’t know whether the price of OMG coin will go up or down. All I know is that it’s an exciting project that a lot of people want to be a part of. It’s up to you to decide if it’s a project you want to be a part of. Cryptocurrency is a crowded market. Over the next few years it will produce more losers than winners. The coins that succeed will have the perfect combination of community, technology and real-world value. OmiseGo is close to having all three. It’s backed by some very powerful organisations, it has lots of friends in the crypto community and its technology is as strong as any of its competitors. None of this makes OmiseGo a guaranteed winner though, so always consider the fact that the future is unpredictable. You should never invest in cryptocurrency being certain that you’ll make money. The money is only a bonus. You should invest in cryptocurrency to support the technology of the future. Not many people can say they’ve done that! OmiseGo Investment Lesson #6: Smile! You’re part of the crypto family! So, what’s your OmiseGo price prediction? Will you be investing? If not, why not? Let me know! I’d love to hear what you think!